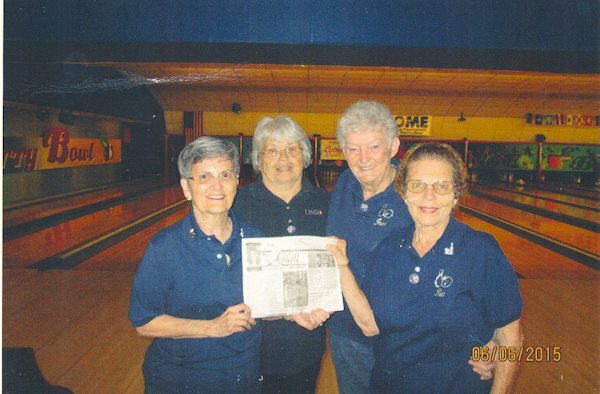 Donna Hinshaw, Linda Denison, June Galbraith and Pat Dunn of Henderson County took The Quill along to their last bowling tournament this year- The Midwest Tournament in Rockford on June 6th and 7th. "Bowling was OK, " they said, but the "food was great!" When you go on a trip, take "The Quill" along and have your picture taken with it and send it to us. Let's see where all "The Quill" can travel.